Over the last six years, the Case Foundation, in partnership with Achieve, has been actively tracking how the Millennial generation turns interest into action and influences social good movements. Known as the Millennial Impact Report, it has become one of the largest annual surveys focused on the next generation to date. It is driven by a simple, yet bold underlying principle: that Millennials will change how change is made. 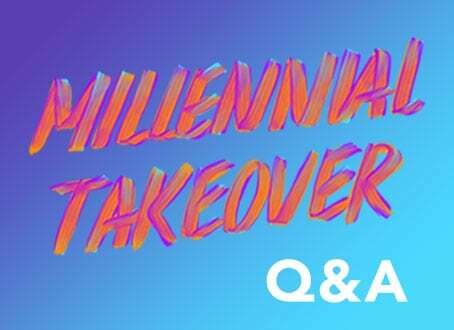 Together, we seek to amplify the voices of Millennials and pull back the curtain on how this influential group of 80 million strong chooses to connect, give and get engaged with the causes they care about the most. This year, Achieve focused the research on how politics, over the course of a Presidential election year, may or may not influence Millennial engagement with social causes. Through a three-phase survey process, this research seeks to reveal insights into how demographics—such as political ideology, geographical location, gender, age, race/ethnicity or Presidential candidate preference—may impact Millennial activation around social causes. Today, Achieve is releasing Phase 1 cohort data in the hopes that it will spark conversation, debate and inquiry that may inform the remaining two phases. (The final report will be released in January 2017.) While it’s too early and too limited a cohort to suggest anything definitive about the Millennial generation as a whole at this point in the research project, we look forward to seeing the final report, with the full cohort data, and discussing the findings and its potential impact on social engagement. I hope you will join us as we continue to grow this important body of research that is helping to inform and empower the social sector. As always, we welcome your comments and questions on Twitter using @CaseFoundation, as they provide much-desired input into ever-improving our work.